A-1 Waste & Rolloff Service, Inc. is a family owned and operated roll-off dumpster rental business founded in 1997. We take pride in being a key asset for residential, commercial and industrial clients in need of waste disposal solutions. 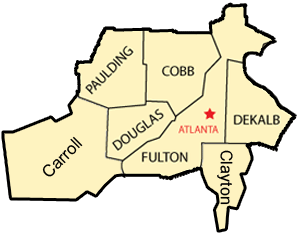 We serve the greater Atlanta area, including Douglasville, Carrollton, Mableton, Smyrna and surrounding areas. Our knowledgeable team brings more than three decades of combined experience to the table. We know the ins-and-outs of the waste hauling industry, and we’re dedicated to eco-friendly disposal practices. A-1 is registered with the Georgia Department of Natural Resources, and we’re appropriately licensed and insured. Our experienced team is focused on providing the best service in town, and we do so by offering affordable rates, friendly service, responsiveness, and an attention to detail unmatched in the industry. Being a locally-owned small business, we’re able to give our customers the attention they deserve. Contact us today to design a custom waste disposal plan for your project! Our pricing is a simple, flat-rate structure that includes delivery, pick-up, hauling and disposal of the waste. There’s no hidden fees when working with A-1! We’ll provide upfront pricing and answer all of your questions ahead of time, so you’re not surprised when you get your bill. Our friendly, knowledgeable staff will gladly answer all of your questions and help make the dumpster rental process simple and seamless. 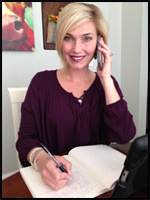 Contact us today at 770-944-9411 to speak with a customer service rep today. Alternatively, you can quickly get a free online quote by checking out this page. We serve other surrounding communities, as well. 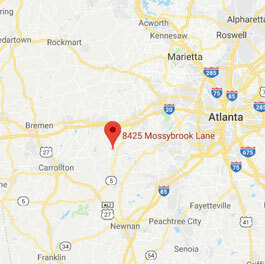 Give us a call at 770-944-9411 to see if your location falls within our service area. Get a free quote, or book your dumpster over the phone today! 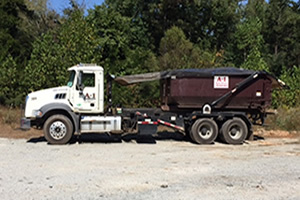 Thanks for stopping by the A-1 Waste & Rolloff Service, Inc. website. We thank you for supporting your local businesses, and we look forward to helping with your next cleanup. Give us a call today, or request a free online quote, to get started today. 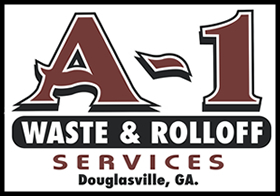 A-1 Waste & Roll Off Service, Inc.